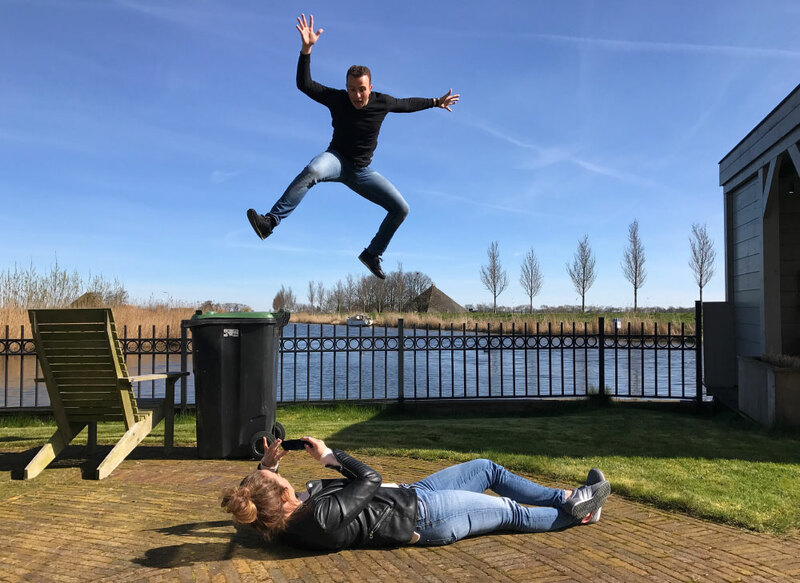 Learn to take better photo’s with your smartphone while learning Dutch. Wouldn’t it be nice to combine learning Dutch with doing something you love doing, like learning photography? That’s exactly what we will do! Our smartphones have become an integral part of life and you may ask what do photography and learning a new language have in common? For one, both our camera’s and our dictionaries are now available on our smartphones. Our everyday clicks instantly shared with friend and families, a word you don’t know can also be instantly looked up on the phone. What is a Dutch Photo Walk you may ask? Exactly what it says it is. We will go on a walk through any of the gorgeous locations that The Netherlands has to offer with our smartphones. One of the first things I will ask you to do is to change your language settings on your phone to the target language you are learning. During our walk, we will discuss techniques to take better photos mixed with daily life conversations, depending on what your language goals are, and time flies when you are learning something you love! Let me take you on a Photo Walk to your favourite corner of this country, where you will not only learn to take better photos with your smartphone, but learn Dutch on the go too and just in case we come across a word that needs urgent looking up, we can do so instantly!